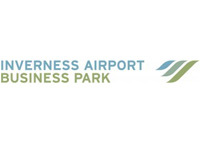 Inverness Airport Business Park (IABP) is delighted to be exhibiting at the biennial Farnborough International Airshow (FIA) which takes place from 16-20 July 2018. With over 1,500 exhibitors (from 52 countries) and 73,000 visitors in 2016, FIA is recognised as a leading business event for the global aerospace industry. For more information on FIA 2018 please visit the website. IABP would like to invite you to visit us at the Highlands & Islands of Scotland stand located at 3530 in Hall 3. This is a perfect opportunity for visitors to find out more about what IABP, Inverness and the Highlands of Scotland has to offer. As an added attraction, we are running a prize draw for visitors to the stand and will be hosting luxury whisky tasting sessions with a selection of the finest Highland malts. We are also thrilled to announce that Drew Hendry (MP for Inverness, Nairn, Badenoch), Stuart Black (Director of Planning & Development at the Highland Council) and a number of other guests will be joining the stand at FIA 2018.